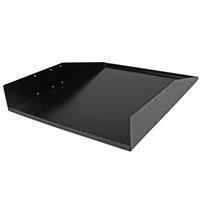 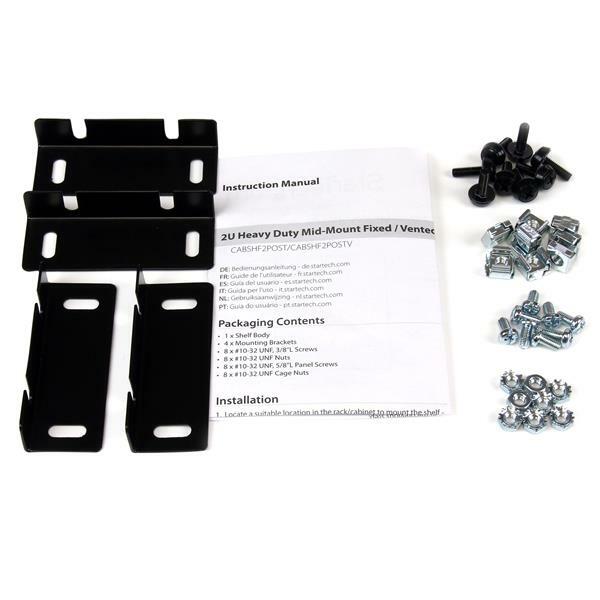 The CABSHF2POST 2U Heavy Duty Mid-Mount Rack Mount Shelf for 2 Post Racks allows you to add a high capacity mid-mount fixed shelf to almost any standard 2 post server rack. 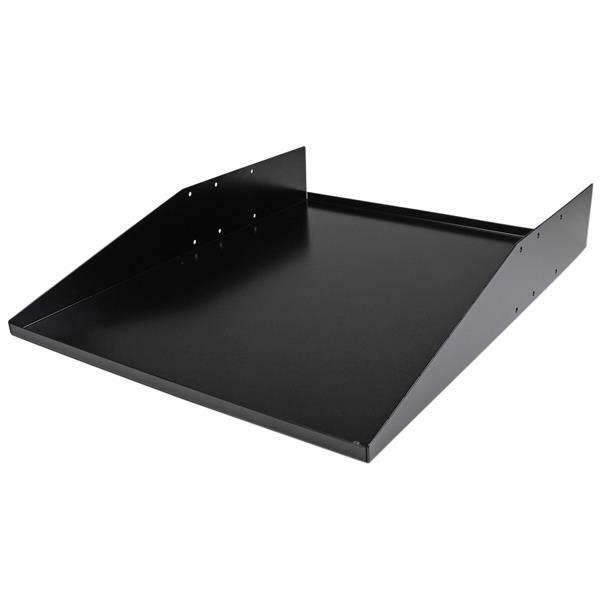 The included mounting brackets can be adjusted to accommodate different post depths, making this 2U shelf a universal solution for 2 post rack storage. 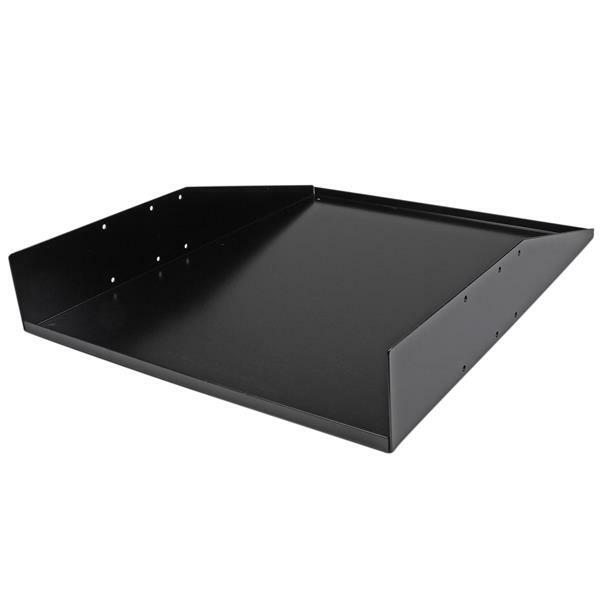 Constructed using 1.6mm SPCC commercial grade cold-rolled steel, this durable 2 post rack shelf can hold up to 67kg (150lbs) of equipment - a perfect solution for storing non-rackmount equipment, tools, peripherals or accessories in your rack to keep them readily accessible.